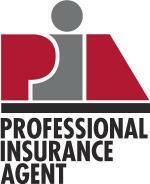 Accidents can happen anywhere, anytime, and to anyone. As the owner of a liquor store, one could expect a reasonable amount of liability to come with that territory. 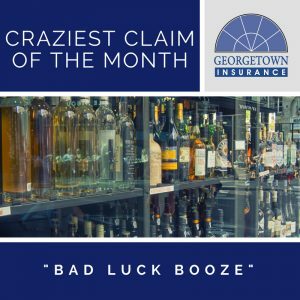 However, in this month’s craziest claim, one business owner was left wondering what in the world had happened as his livelihood (aka liquor) started flowing out the door. It started out as a normal day. All was business as usual until a long row of outside shelves tumbled over for no apparent reason. Bottles were broken, liquor was rising, and a small river of booze was flowing out the door. Bewildered, the owner tried to figure out what happened as he attempted to stanch the rising tide of alcohol. Was it an earthquake, was it terrorism, was it a freak accident? Turns out, a customer’s vehicle had jumped the small curb by the side of the building and the bumper grazed the wall causing the shelves against the wall to topple…and subsequently thousands of dollars’ worth of damage and lost liquor.